Healing is a cyclical event. We don’t do it once. We do it over and over. As I ponder on this topic I think about all the people I have interviewed – people who have lost children to hiking accidents, car accidents, suicide. People who have lost spouses and parents to murder and suicide. A woman with an eating disorder and a man whose father tried to kill him as a child in order to prove himself a prophet in God’s eyes. This is just the tip of the iceberg. The stories are raw, powerful, and illustrate people who found ways to stand up, heal, and move on to make the world better, to make their own lives better, and to rise from the ashes of pain, loss, betrayal and self-loathing. Today’s conversation is about healing, because it’s a part of every story, and the alternative is to suffer. The things we must heal from are myriad. What affects each of us and how it affects us is very personal–that personal hero’s journey. And the beauty of that is the utter brilliance of it. WE EACH HAVE A PERSONAL JOURNEY THAT SPECIFICALLY PLAYS OUT ACCORDING TO THE THINGS WE INDIVIDUALLY NEED TO LEARN. I THINK THE STRONGEST HEROES HAVE BEEN GIVEN THE TOUGHEST JOURNEYS. So, if yours is feeling pretty beat up right now – take heart – and badass up! You’re one of the superheroes. Let me tell you a story. In 2016 when I started my emotional intelligence training I didn’t really know how to get past where I was. I felt stuck. I knew I didn’t trust men, but I wasn’t really sure how to get around that. Fact was fact. And then, thank God, I started a journey of healing. It involved some crying, some screaming, some vulnerable emotional exposure, it involved telling my stories and reframing them away from victimhood into learning. It involved people who guided me, mentors and heralds. It involved my shadow self and my hero self. I arrived in Columbus, Ohio with my friend Anisa. My herald Sally had told me I needed to go to this conference, and being the ever so obedient friend we bought tickets and figured if it sucked we’d just go and have a great weekend in some place we’d never been. We got to our hotel room and the next three days pushed my buttons. One of the first exercises we did was to arbitrarily find a partner – a buddy, and sit across from them. You had to look them in the eyes. You didn’t have to say anything, in fact, you weren’t supposed to. We were instructed to simply maintain eye contact. This was someone I did not know, had never spoken to, and it was a man. As we sat across from one another staring into one another’s eyes and holding hands, tears started to roll down my cheeks. I was so embarrassed. There I was staring into the eyes of some man I didn’t know, and I couldn’t stop myself from crying. Wow! I thought. I’m in for a ride. But, I really wanted to figure this out – figure out what was holding me back, figure out how to heal, so I kept at it. The leader of the workshop pissed me off because he was so arrogant and disrespectful to the students, but I stayed and bit my tongue because I wanted to move forward and instinctually I knew something was going to happen here. I didn’t know how this was going to work, or what was going to happen, but I knew I was where I needed to be. So, when the workshop leader tried to kick me out because my hand wasn’t raised high enough, I bit my tongue and raised my hand higher. My coach was incredibly tolerant, loving, but tough with me as I questioned everything, challenged everything, and cried more. This was the beginning. The beginning of cleaning house. The beginning of shaking out all the left over pieces that I hadn’t worked through. When I think about the idea of each of us embarking on our own heroes journey, fraught with struggles and gifts just for us; when I picture that each of us have our own heralds put in our path to bring us the messages we need when we need them, and mentors to guide us and provide motivation and inspiration-gifts for our own personal journey; when I think of our own individual threshold guardians who challenge us with challenges that are specially made for us, to see how badly we want what we think we want; and the tricksters in our stories that bring energies of mischief and draw attention to imbalance – but exactly in the way we need it, well, the idea of the individualized heroes journey does a couple things for me: 1. It gives me hope. When I’m feeling like I have GOT to be off the path and wandering around lost on my heroes journey; when I feel like I’m stuck in a bog or the dragons are too fierce and completely unfair, or that things are NOT playing out in the right way, I come back to the idea that I’m exactly where I need to be, learning what I need to learn, and then the panic subsides. 2. It makes me excited. If this journey is going to play out exactly as I need it to, then I’m not alone, I’m guided, there is a purpose beyond my own doing and that makes me excited about what great adventure lies ahead. What will happen today? Who will I meet? What idea will come? What abundance will show up? 3. I get to have double appreciation for the people who come into my life and walk my path with me. They are my beloved tribe, or my teachers, or my mentors, or my heralds. They are a part of my divinely orchestrated story. How cool is that, and how cool are they? 4. The villains in my life become less scary, in a way. They become part of the story of learning, forgiveness, and healing. A part of my journey. A part of my story. And while I don’t like them, if I trust that they have purpose and then I seek to find the meaning, they end up playing a role that is incalculably valuable. The trip to Ohio for me was just the start to my healing journey, but it was PART of my journey, a really important part of my journey, and what I learned was that we don’t have to stay stuck. Healing isn’t just dealing with what we’ve been dealt. Healing is so much more. There have been times when the pain so wracked my body that I fell to my knees in tears begging for it to stop, and it did. Just like that. More than once it’s been taken from me. These times are the miracles and mercies of God, there is no question in my mind about that, for no one else could have done it. There are also processes we must go through. God removing the pain from me momentarily didn’t change the situation or what I would have to deal with. It didn’t take away the resulting baggage necessarily. It just gave me a reprieve for the moment so I could stand back up and continue on the journey. But inevitably, in the end, I have been brought to a place of the spiritual and emotional reweaving of my life story that allows me to include a level of empathy, understanding, to refrain from judgment, and an overall comprehension of the human experience that I most certainly did not have before my suffering. This was gained with time and with processes and paths of healing that I have no doubt that He put before me. Which brings me to number 2. This is what I call the reframing process. We’ve talked about this before because it’s my patented –okay I really didn’t patent it—but it’s my 5-Step Process for being able to reframe our past stories that we need to heal from so we can move on down our path and get on with our journey. This 5-step process is covered in detail in episodes 46-50. I created this process by taking my experiences with healing and packaging it for others to start on their healing process. Hippocrates said, “Healing is a matter of time, but it is sometimes also a matter of opportunity.” Tools and workshops, my 5-step process, professional counseling, etc. these are the opportunity. I posted a question on Facebook and asked my friends what they do to heal. I got a tremendous response and it varied from journaling to drinking, to be forgiving of myself and of others, allow yourself to grieve, acknowledge your higher power and on and on. I think I was simply most impressed by how thoroughly people had created ways to heal. It was beautiful, detailed, thorough. 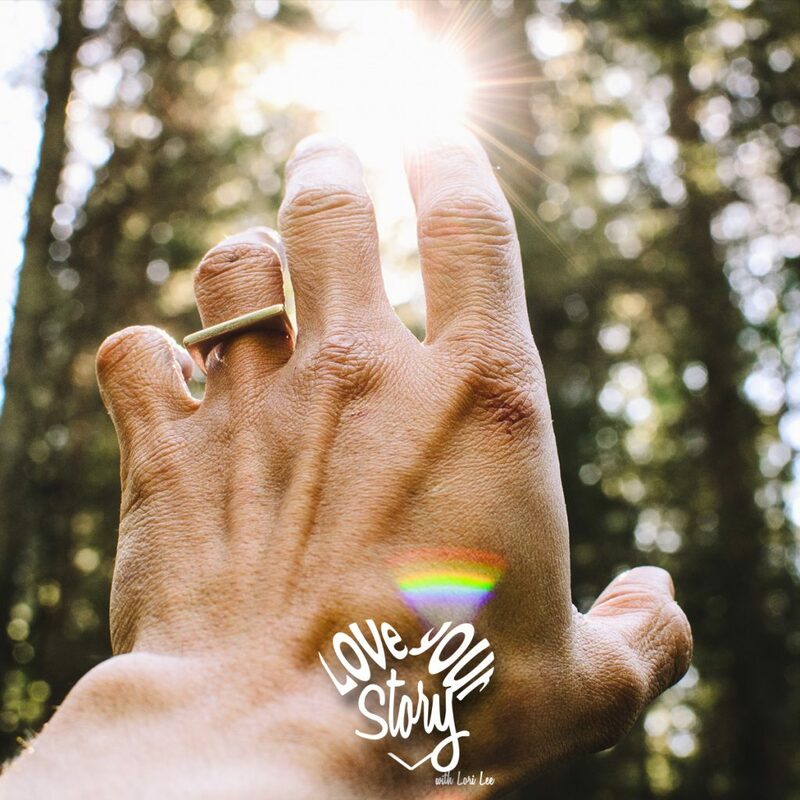 The creation of the Love Your Story movement started from a place of healing. It was about me healing and learning to love my story and wanting to help other people do the same thing. Not to take the place of Christ as the master healer, of course, but as tangible steps I a mortal world to help us process our grief, our discomfort, our shame, our regrets, our own inevitable human messiness. To love ourselves fully we must come to love and accept our stories. Finding their beauty and meaning, despite, and even because of, the valleys of darkness we have walked through. This is key to being whole. Love your story. Love yourself. After our wounds have sat with us for awhile, not while they are raw, but after time has dulled the terrible pains, there comes a space of needing to make peace with the experience. Let me share these 5 steps to reframe and heal from our sacred and terrible places. That way we aren’t just talking in generalized terms about healing, but I’m actually giving you actionable steps that you can take. Most life stories turn out drastically different than we plan for or expect. That is the nature of the adventure of life. No one plans for heartbreak, disease, loss, abuse and the cadre of other experiences that take us off the course we have planned for ourselves and our happily-ever-afters. In my research, only 1 out of 20 people had lives that turned out as they thought they would. The first key to loving your story is to truly accept that you are not the only one. You’re not alone in the unexpected trajectory of life; your path has been and will be full of both the good and the bad. That’s how it is for everyone and you’re no different. Even the people who look like they have it all, don’t. Life is messy and that’s okay. Accept it. Accept yourself. Accept your own pain, your own experiences, your losses and your beautiful self. It’s our starting point. There’s nothing that we can do to change the past. We get to sift out the gold from the dross and then move forward in full acceptance. Because we can change the future. Shame causes us to hide, and as we hide our stories, the characters loom larger and uglier in the dark. When we tell our stories we rip away the curtains covering the events, we claim them as they are, and we let the light shine on the reality. When we do this we often find others who have similar experiences, or we simply own them and their power fades in the light. What was once a looming dragon is unveiled to be less sinister as we claim it, say it out loud, and feel the emotion it creates. Telling the story is the beginning of healing. Telling your story can mean different things. I’m not suggesting posting it to Facebook is a good idea. What I mean is say it out loud in a safe place. This may be a professional, a friend, a stranger, a life coach. Tell the story. Feel the emotion. Let it be what it is, but say it out loud. In Ohio I told stories I’d said out loud to very few people. It was terrifying. If was freeing. It was paramount to being able to accept them. But the safe place to do this is in a place of non-judgement. With someone who can let you tell the story and simply let it be what it is. When events happen in our lives, caused by either ourselves or others, there is always something that can be learned. This might be the most important step in the process. For me the culminating purpose or meaning that I identified for my story as a whole was simply that all the things I had gone through – the heart break, the betrayal, the guilt, the fear, the abuse, the abandonment, the struggles of a single mother, the loneliness, led me to a place of greater understanding, empathy, and broader experience that allows me to connect with a larger range of people. Finding meaning for me was not about excusing anyone, not even myself, it was simply acknowledging the greater take-away and what that meant to my personal development, my personal goals, and my acceptance of my own story –my own life path, even the parts, maybe especially the parts I did not control. Your meaning will be very personal to you, but when you can find meaning to your suffering, it ceases to be just suffering. It begins to take on the expanded life that allows for the reframe. When Viktor Frankle helped his patient realize that his wife’s death meant she did not have to suffer without him as she would have if he had died first, it gave his suffering meaning. 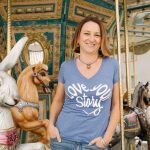 When Annadel Lemon, in episode 65, created a platform to help others forgive and heal from their life tragedies it gave meaning to her father’s murder of her mother and his subsequent suicide, because she created something from the ashes of her broken family. When Tammy Johnson, in episode 60, focused on her son’s death as a release from his depression and struggle rather than the deep loss of this 16 year-old high school student, she created meaning that allows her to find peace. What meaning do your sacred wounds hold? We each grow up with a set up lenses we look through to see and interpret events in our lives. These lenses include our religion, our gender, our socio-economic standing, our education, our culture, our race, our families, our sexual experience, what side of the tracks we live on, etc. No set of these is the exact same for any one person. These lenses, stacked one on top of the other, give us our views of the world – like a set of glasses with a stack of a dozen lenses. Once we come to understand this, it is easy to see how others around us can interpret life events differently than we do. Taking off your glasses, and making an attempt to look through another set of lenses can lead to an increased understanding and empathy for others and their part in your story. Did the other person do they best they knew how to do at the time? Considering their lenses, how might they have interpreted, seen, or justified their role in your story? If you had been in their shoes, would you have possibly behaved in a similar way? What do you feel for the others in your story? Anger? Empathy? Feel Sorry for them? Fear? Understanding? Sadness? Forgiveness? While not all of these questions may apply to you and your story, it is a place to start in broadening perspective as you prepare to reframe. With these new perspectives, how does your story change? How do you see it differently? What new insights help you see it differently? Reframing is often not a one-person exercise. We are quite entrenched in the perspectives of our own stories, so if you need help to see different angles and perceptions of the event, find someone to work with you – a therapist, a life coach, a friend, a loved one. Someone that is detached enough from your story to be honest with you. Someone who will be able to suggest new perspectives, and honest enough to do so will be important. Retell the story from a different perspective, with a broadened understanding. How does the story change? The miracle of healing- of transforming our darkest places into such things as peace, acceptance, increased light, understanding, patience, empathy, and love—is always a process. It is a process guided and supported by God who always seeks to heal us, to love us, to hold our hand as we grow. It is a process of chosen opportunity, as Hippocrates said. It is a process of time, forgiveness, gentleness with ourselves and tremendous growth. Talie Wehr, a life coach who lives in Ohio, shared with me some of the things she does to heal. She said, “I connect to the support around me. I make a gratitude list. Journal. Self-care. Create healthy routines or get super consistent with the ones that I already have. I let God comfort me. Be gentle with myself. Write a letter of forgiveness even if I don’t send it. Acknowledge that God is the judge, not me (seeing myself actually get down from the judge’s bench, and give the gavel to God helps me let go and forgive) I do things creatively that I deeply enjoy (dance, paint, cook, design, hike). I be a contribution to someone else. Find ways to laugh- funny movies, fun friends, comedy etc- laughter is deeply healing for me, and I choose to be around affectionate friends. I’d love to hear your thoughts on healing. Will you go to www.loveyourstorypodcast.com and under this episode tell me your thoughts or experiences on this topic? Thanks for tuning in today for another discussion on how to create our best life stories on purpose. If you’re in a space of needing to heal right now, and the steps I talked about feel good to you, go back to those episodes and listen in as they go into exact detail on the process, and if you want additional help in reframing your stories, reach out to me for personal story reframing coaching. lori@loveyourstorypodcast.com; My best to you on your healing journey.